Wednesday was NHL’s last day of first grade for 2009. To help celebrate, the kids all helped to bring in supplies for a tasty craft and party. As one of the room parents, I saw the list of items and immediately knew what they would be making. 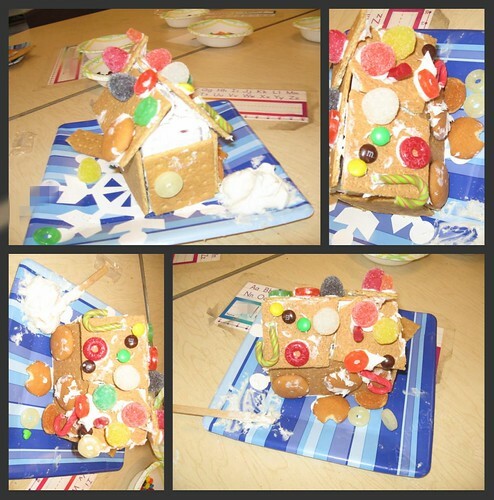 The class was going to construct gingerbread houses using graham crackers, frosting, lots of candy and their imagination. Of course, as a teacher, I knew that NHL’s class would need more adult hands on deck to assist with the group. JSL and I went into the classroom. I was afraid that he would be all over the place. Luckily, he was content watching the kids, while munching on a few M&M’s. Meanwhile, I had fun dishing out extra frosting and supplies to the kids. It was interesting seeing those that had never made a gingerbread house (like my NHL) compared to those who were seasoned professionals.Here are some photos of NHL making his first gingerbread house. He was quite into it, but also asked his teacher numerous times if he could nibble on some of the candies. Needless to say, this was a common question in the room of first graders. Eventually, NHL stopped adding things to his house to go and read on the rug with his little brother. JSL was already surrounded by a gaggle of first graders! Have you ever made a gingerbread house before? If not, you are not alone . . . I do not recall ever making one. If you have what are your favorite items to use as decorations? Seen them but haven’t made them myself. I haven’t tasted them too. 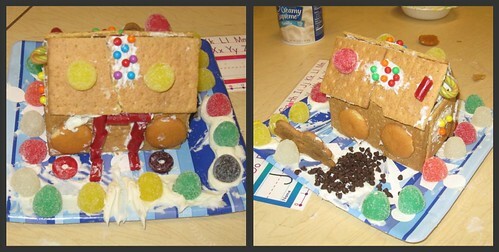 Your pictures of the gingerbread houses brought back such fond memories. 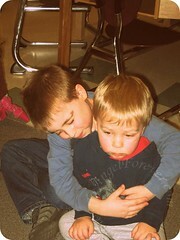 When my boys were in elementary school, I was very active in the PTO and every year we hosted a Christmas bazaar to raise money for the school. The PTO moms and their children would make the houses and would raffle them off. And in addition my boys got to decorate ones for our house. Thank you for bringing back those memories. Merry Christmas! 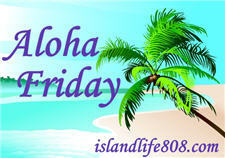 .-= Cheryl Mash´s last blog ..Aloha Friday hosted by An Island Live =-. I have never built one but I think your kids did a great job! 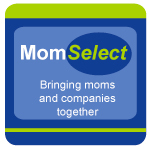 .-= Shannon (The Mommy-Files)´s last blog ..V-Tech V-Motion Active Learning System Review & Giveaway =-. .-= Nancy T.´s last blog ..Merry Christmas! =-. My daughter makes one every year with her daughter and her niece, and have so much fun. Yours looks truly imaginative too. Good work. I’m your newest follower. Merry Christmas. never made one before, but i know this is a tradition we will soon be starting! hope you and your family have a safe and happy holiday season! 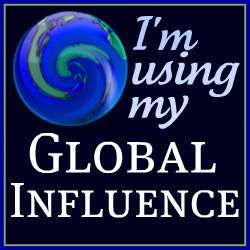 .-= noelle d´s last blog ..Aloha Friday #15 – Thankful =-. no but they look adaorable! I’ve never made one as a child but I have my girls make one every Christmas. They love using candy canes, mini m&ms, fruit loops, and mini marshmallows. 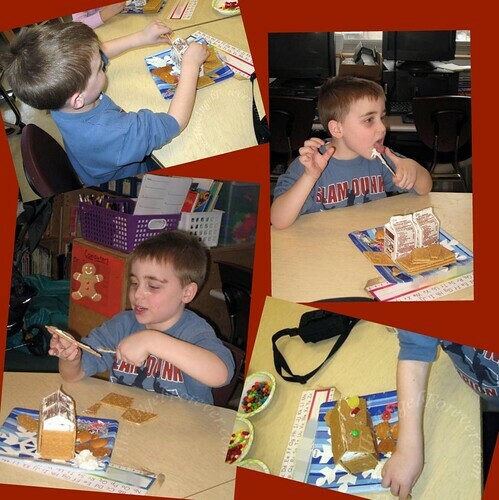 We have made gingerbread houses every week, but I like the idea of doing it with graham crackers. That was cute. We buy the kit from costco every year for $9 and it has everything, frosting, candy, gingerbread house, etc. It’s super worth it and a ton of fun!